1. 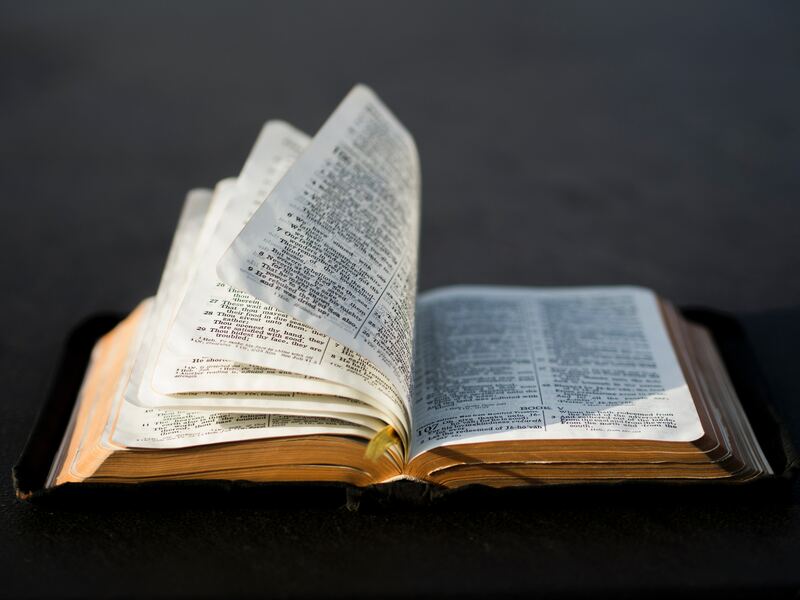 We believe in the Scriptures of the Old and New Testaments as inspired by God and inerrant in the original writings, and that they are of supreme and final authority in faith and life (2 Timothy 3:16-17; 2 Peter 1:21). 2. We believe in one God, eternally existing in three persons: Father, Son, and Holy Spirit (Matthew 28:19; John 14:10, 13, 16, 17, 26; 2 Corinthians 13:14). 3. We believe that Jesus Christ was begotten by the Holy Spirit, born of the Virgin Mary, and is true God and true man (Matthew 1:18, 23; Luke 1:35; John 17:11, 21). 4. We believe that man was created in the image of God; that he sinned and thereby incurred, not only physical death, but also that spiritual death which is separation from God; and that all human beings are born with a sinful nature; and, in the case of those who reach moral responsibility, become sinners in thought, word, and deed (Genesis 1:26-27; 2:7; Jeremiah 17:9; Ezekiel 18:4; Romans 3:23; 5:12; Ephesians 2:3). 5. We believe that the Lord Jesus Christ died for our sins, according to the Scriptures, as a representative and substitutionary sacrifice; and that all who believe in Him are justified on the ground of His shed blood (Isaiah 53:6; John 3:16; Romans 5:9, 12; 6:23; 1 Corinthians 15:3, 21; 1 Peter 2:24). 6. We believe in the resurrection of the crucified body of our Lord, in His ascension into heaven, and in His present life for us there as High Priest and Advocate (Luke 24:6; Acts 1:9; Hebrews 4:14; 10:12). 7. We believe that all who receive by faith the Lord Jesus Christ are born again of the Holy Spirit, and thereby, become children of God (John 1:12-13; 3:3; 1 Peter 1:23). 8. We believe that those who have been born again have everlasting life and shall not come into condemnation, but are passed from death unto life; and that the Lord Jesus Christ gives unto them eternal life and they shall never perish, neither shall any man pluck them out of God’s hand (John 5:24; 10:28-29). 9. We believe that the Church is the spiritual body of which Christ is the Head and that it includes all who have been born again. Its mission is to offer acceptable worship to God and to serve Him faithfully by spreading the Gospel and making disciples of all nations. The ordinances of the Church are baptism and the Lord’s Supper (Matthew 16:18; 28:19-20; Acts 2:41; 1 Corinthians 11:23-29; Ephesians 1:22-23; 3:10-11; 4:11-16). 11. We believe in the physical resurrection of the body. Unbelievers shall be eternally separated from God’s presence to everlasting torment, but believers shall live and reign with Him to everlasting glory. (Matthew 25:46; John 3:36; 5:28-29; Revelation 20:12,15). 12. We believe worship and honour to our Heavenly Father is our highest priority and call and second to it is love and service for our neighbour without hesitation or reservation. (Matthew 22:37-39; Luke 10:30-35) The Great Commandment. 13. We believe that all people are lost without God and have the “need” to hear the Good News of redemption. It is the mission of all Christians to tell about the peace with God through Jesus Christ. The Lord Jesus Christ commissioned all believers to proclaim the Gospel throughout the world making disciples of all the nations, teaching them to obey all He proclaimed. (Luke 19:10; Romans 10:13-15; Matthew 28:19-20; Mark 16:15) The Great Commission. 14. We believe that all people can be transformed to reflect the Glory of God and the love of His Son. It is the desire of all Christians to disciple and nurture each other “in transforming to His likeness”. (II Cor. 3:18).